Alcohol can be a factor in crashes involving young people, but sleepiness can be just as dangerous and possibly more common. With sleep deprivation reaching epidemic proportions among American teenagers and young adults, drowsiness can have a major impact on young drivers’ safety behind the wheel. Sleepiness is hazardous for young drivers. Studies show more than half of all fall-asleep crashes involve drivers aged 25 years or younger. Most young drivers are tired. Biology, academic pressures, extracurricular activities and early school start times conspire to keep young people from getting enough sleep. Just one in five adolescents get an optimal nine hours of sleep on school nights; nearly one-half (45%) sleep less than eight hours on school nights – not enough for a teen’s brain development. 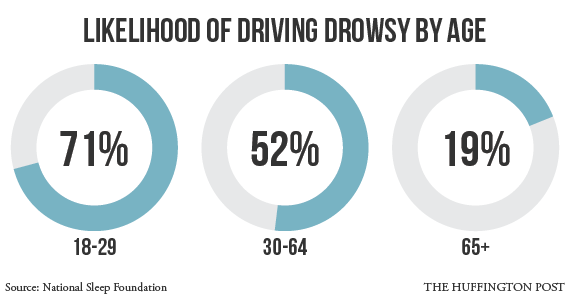 Most young drivers drive drowsy. According to NSF’s 2006 Sleep in America poll, more than half of teens drove drowsy in the past year. In fact, 15% of drivers in 10th to 12th grades state they drove drowsy at least once a week. These are accidents waiting to happen. When we drive, we take responsibility for our own safety and the safety of others on the road with us. No trip is worth a life. Before you hit the road, keep these tips in mind so that you can drive alert and arrive alive. For more information visit www.sleepfoundation.org.